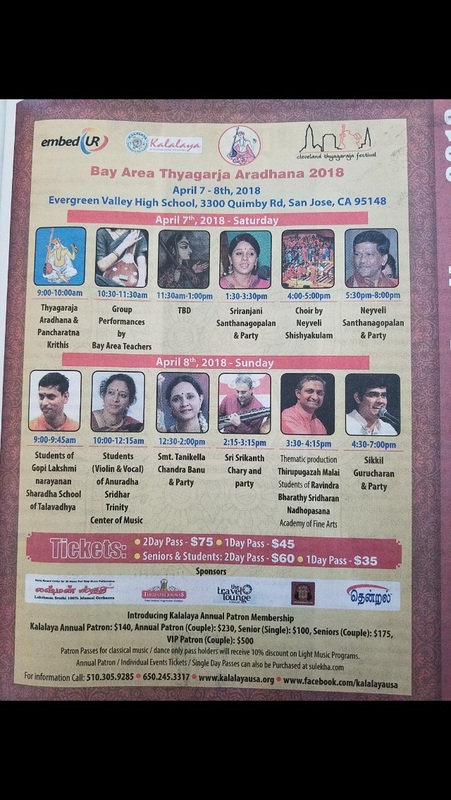 The Nada Nidhi Music School, based in Fremont, CA, provides education in the art of playing the Veena, and the intricacies of Carnatic Music. Students undergo rigorous training ranging from the basics of this unique instrument to the complex aspects of musical improvisation and concert performance. Nada Nidhi is thrilled to be celebrating its 30th anniversary this year!! A musical celebration will be held on Saturday August 3, 2019, in Fremont, CA. We welcome you all to join us. Admission is free. Details forthcoming. 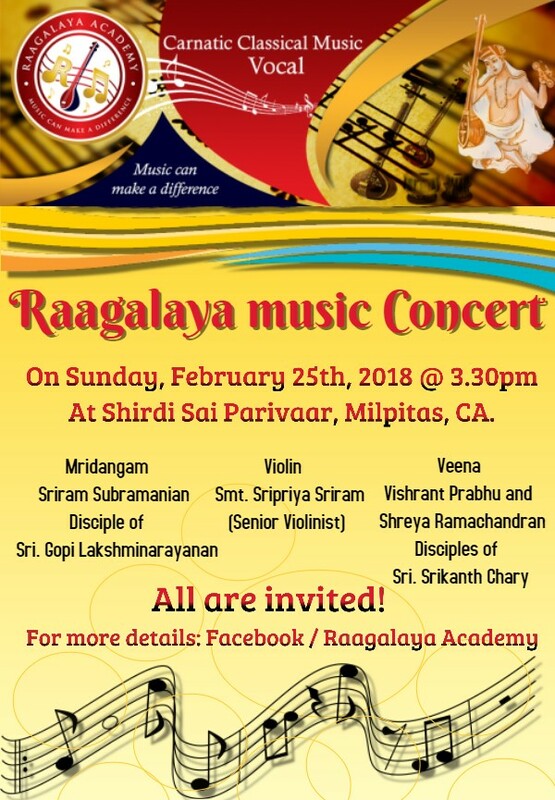 Carnatic Chamber Concerts (CCC) presents "Guru Prabhaavam"